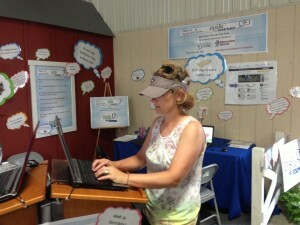 Come visit us with your questions at the Delaware State Fair. Our Ask an Expert exhibit is available in the air-conditioned DDA/Commodities Building at the Delaware State Fair through Saturday, July 27. Expert Extension staff from UD and DSU will be on hand from 11 a.m. to 8 p.m.
Delaware residents with questions related to family and health, community development, food and agriculture, programs for young people and gardening will now have a new way to connect with experts on those topics thanks to the University of Delaware and Delaware State Cooperative Extension’s Ask an Expert website, which will be unveiled this week at the State Fair. 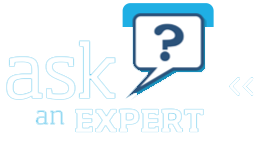 Ask an Expert is as simple as clicking on the Cooperative Extension website and asking a question about a problem related to the topics above. The people with questions will then be connected with a Cooperative Extension, university staff member or volunteer expert who will be able to provide them with a timely and regionally specific response electronically. The goal is to have a response within 48 hours. Images can be attached to the question to help further explain questions, such as attaching a photo of an insect or a spot on a plant. Questions and answers can be made publicly or privately, depending on preference. To check out the Ask an Expert page, visit the following link.